Shauna Malo is a nationally certified Massage Therapist who is now a member of the care team at Nevada Advanced Pain Specialists. She attended school at the Nevada Career Academy (now the Milan Institute) where she earned her Medical Massage Practitioner Certification in 2005. Shauna has more than 10 years of massage therapy experience. She previously worked at the Peppermill Spa, Reno Sparks Med Spa, Spa West and with several local chiropractors and physical therapists. Shauna specializes in medical massage which promotes healing and assists in the body’s natural healing ability. She has experience in treating all medical conditions. Shauna has worked with a large variety of clients that have suffered with both acute and chronic pain conditions. She utilizes her knowledge of anatomy and kinesiology to customize every massage to each patient’s needs. 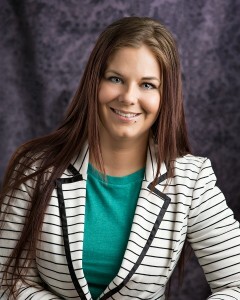 Shauna was born and raised in Reno and became a massage therapist in 2005. She enjoys spending time with her two children, who are 4 and 7 years old. In her spare time, she enjoys reading, hiking, camping, fishing and various other outdoor activities. She is very excited to use her skills to help patients who have acute or chronic pain.